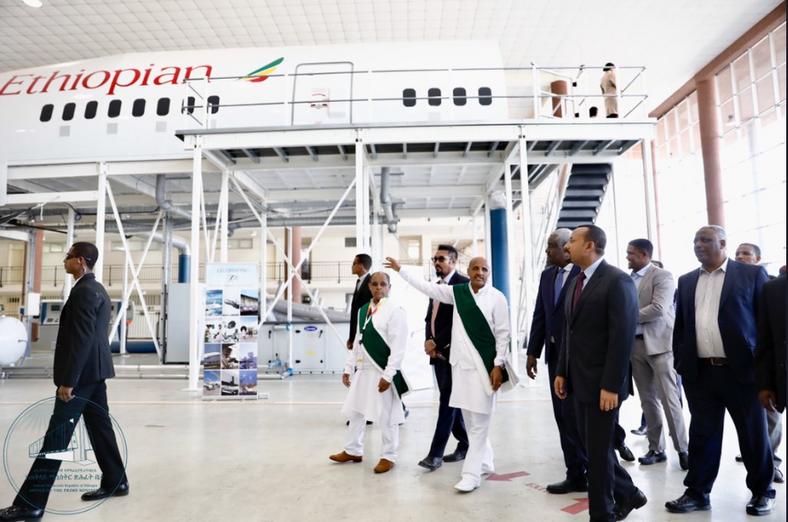 Ethiopian Prime Minister Abiy Ahmed has inaugurated the newly expanded Addis Ababa Bole International Airport terminal, the biggest airport aviation hub in Africa exceeding Johannesburg’s O.R. Tambo International Airport. The terminal has been fitted with modern amenities including automated bag drop solutions, e-gates, self-check-in kiosks, baggage handling, and the latest airport security technologies. The new airport began construction in 2015 was funded by China at a cost of US $35m. The new terminal was launched with a new five-star luxury hotel, a great boost for the state carrier Ethiopia Airlines. This five-star hotel rests on 40, 000 square meter and has 373 rooms with 27 presidential and executive suites, four restaurants and a conference and banquet hall that can hold 2, 000 people at a time. Ethiopian Airlines has strategically invested across Africa, making deals to revive defunct airlines, setting up hubs in countries including Togo, and partnering with airlines in Malawi, Chad, and Mozambique. The country also announced that it would start granting visas on arrival to people from Africa. Founded 74 years ago, the airline has an operating fleet of 111 planes and currently flies to more than 119 international passenger and cargo destinations, with over 61 of those in Africa alone.